So it’s not a restaurant – but hey, who says I can’t blog it? 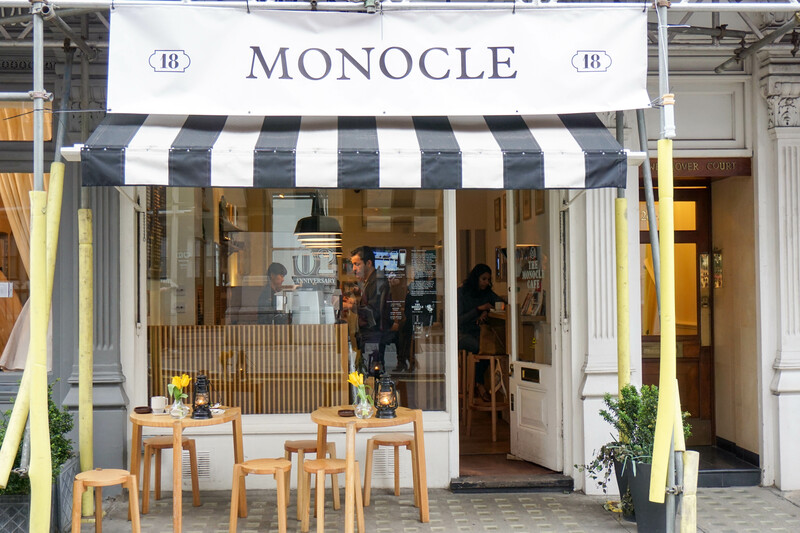 The Monocle Cafe actually serves some proper meals, so I’m wary that since I haven’t tried any, I can’t give an overall opinion of what food is like here. They have a great selection of Japanese delights, like udon and salads, but I’ll leave that for your visit. I came here a few times just for the Matcha hot chocolate, something that became a bit of an Instagram frenzy earlier this year, hot chocolate simply topped up with matcha cream…simple, but so easily satisfying. These desserts are produced by Lanka, a cafe which I have yet to visit, but the Monocle also does macarons and chocolate tarts, not everything is about green tea! Its quite a walk away from Bond Street, but its right opposite Chiltern Firehouse…maybe do some celeb spotting? The hot choc with matcha cream looks yum! Definitely going to try that next time!